In every personal injury trial, or every personal injury lawsuit that is filed, a Frisco personal injury attorney will retain at least one expert to testify. In today’s world, at a bare minimum, your personal injury attorney will need to have the testimony of a medical doctor, preferably the treating physician, to give testimony that your injuries were, more likely than not, caused by your particular accident. Without this type of testimony, your personal injury claim could be defeated at the close of the plaintiff’s case-in-chief. A brief summary of the typical Frisco expert witnesses one might see in a personal injury case is provided to aid in your understanding of why expert witnesses are so important to most personal injury lawsuits. 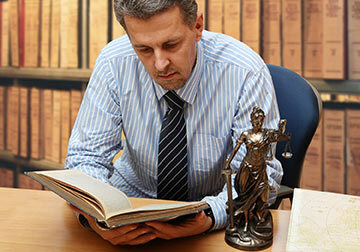 In every injury case, there are medical records, which serve as evidence. These medical records must be retrieved by your Frisco Personal Injury Attorney in a manner that makes them admissible at the time of trial. Sometimes, Frisco Personal Injury Law Firms will use what is a called a “record service company.” This company, at the request of your Frisco Injury Attorney, will issue a subpoena to the medical records custodian to answer certain TRE 803(6) questions when the subpoenaed medical (business) records are given to the court reporter. Once these records are admissible, they become freely usable evidence at your personal injury trial. However, having admissible medical records and medical bills is not enough to get your case submitted to the jury. You must have medical testimony based upon reasonable medical possibilities. This means that you must prove that more likely than not, your injury was medically caused by the event. In some instances, this is crystal clear. For example, if you are involved in a car accident on South1st St. in Frisco and you received a broken arm, it would seem quite clear that you received the broken arm from the auto accident. But you still need a doctor to testify that your broken arm was causally related to your Frisco traffic accident. Sometimes, however, the medical issue is not so clear. Frequently, when somebody suffers a herniated disc in their back, the defense counsel will try to show that the herniated disc pre-existed the accident and, therefore, there was no injury. This makes the testimony of a Frisco orthopedic surgeon critical to your case. In other cases, such as exposure to toxic substances, it may not be clear that the exposure is the cause of your respiratory problems. In this type of case, the expert testimony of a pulmonologist is critical. When this testimony is garnered by your Frisco car accident attorney, the jury is entitled to consider how much should be awarded for past medical charges. For future medical charges, a doctor must testify that, based upon reasonable medical probabilities, you will require future medical care and are entitled to receive the cost of that future medical care as part of your damage award. Under these circumstances, a Collin County jury will be able to award monetary damages for future medical care. This Civ. Prac. & Rem. Code Sec. 18.091 requires that the jury only consider after-tax dollars in computing your economic loss. A Collin County personal injury lawyer will often call a certified public accountant (CPA) to testify. That economics expert will rely upon your prior W-2 statements, your prior income tax returns, and, in some cases, they will have to reconstruct your income from receipts if you did not file income tax returns as required by federal law. When an economist testifies, he/she must give the jury testimony for past loss of wages, or past loss of earning capacity, as well as future loss of wages and/or future loss of earning capacity. In determining your future loss of earning capacity, they usually select 65 years of age to compute your work-life expectancy. For example, if you were 28 years of age when you were seriously injured and it took one year to get to trial in Collin County, Texas, you would be 29 years of age at the time of trial. If you did not work from the date of injury to the date of trial and that time period was one year, you would have one year’s worth of wage loss in the past; and because you were 29 years of age at the time of trial, you would have 36 years of future loss of earning capacity. In serious injury cases involving paralysis, paraplegia, quadriplegia, or the need for a prosthesis, your Collin County Injury Lawyer may need to create a life care plan. These can be prepared by persons experienced in social work or, alternatively, a registered nurse or licensed vocational nurse (LVN) with experience in life care planning can testify on these topics. Some of the factors that are considered are the cost of a van outfitted with handicapped accessibility items, ramps to and from your house, as well as, in some instances, the cost of home health care. The court will treat all of these items similarly to future medical bills. In a Texas medical malpractice lawsuit, the victim is required to have a physician, from within the school of science involving the alleged allegation of negligence, render an expert report that must be produced to the defense. This must be done within one hundred twenty (120) days of filing your Frisco medical malpractice lawsuit. Failure to supply this report can have serious repercussions on your potential Frisco medical malpractice claim. In 1993, the United States Supreme Court decided Daubert v. Merrell-Dow Pharmaceuticals, 509 U.S. 579 (1993), which dealt with the standard in the Federal Rules of Evidence for admitting the testimony of scientific experts. In Daubert, the Supreme Court was establishing the trial judge as a “gatekeeper” to ensure that any and all scientific testimony is not only relevant, but reliable. After Daubert, federal trial judges must decide for themselves whether an expert’s methodology is reliable. In almost every Frisco, Collin County, personal injury lawsuit, either the defense or the plaintiff’s counsel, and sometimes both, will file a “Daubert/Robinson Challenge,” challenging an expert’s opinions, either in whole or in part. Central Texas, including Allen, Colony, Hackberry, Hebron, Lakewood Village, Lewisville Lake, Lincoln Park, Little Elm, Navo, Oak Point, Plano, Prosper, Providence Village, Savannah, The Colony and other communities in Collin County and Denton County.